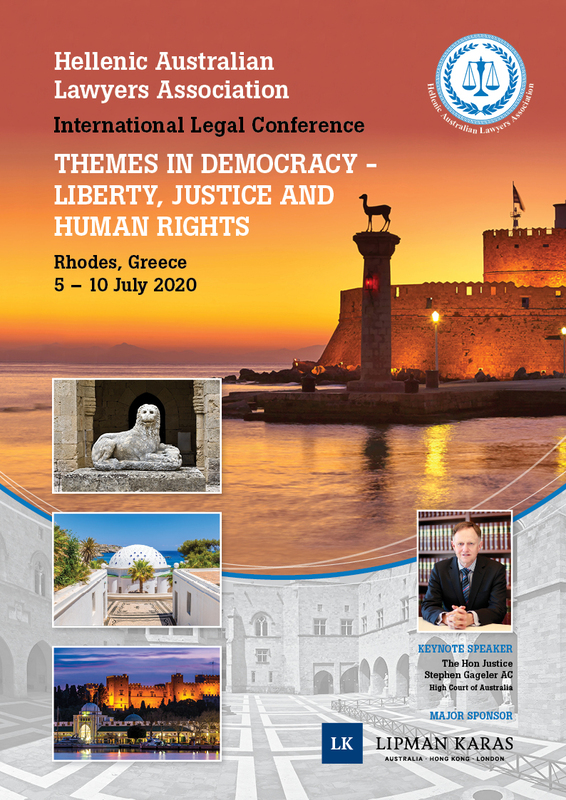 The Hellenic Australian Lawyers Association (HAL) is delighted to be hosting a second International Legal Conference in Rhodes, Greece from 5-10 July 2020. Please save the date for what promises to be a memorable conference. Registrations will open in May 2019 for the conference. Further details will be posted on the website in due course.